Teri Harris Trucking, LLC. 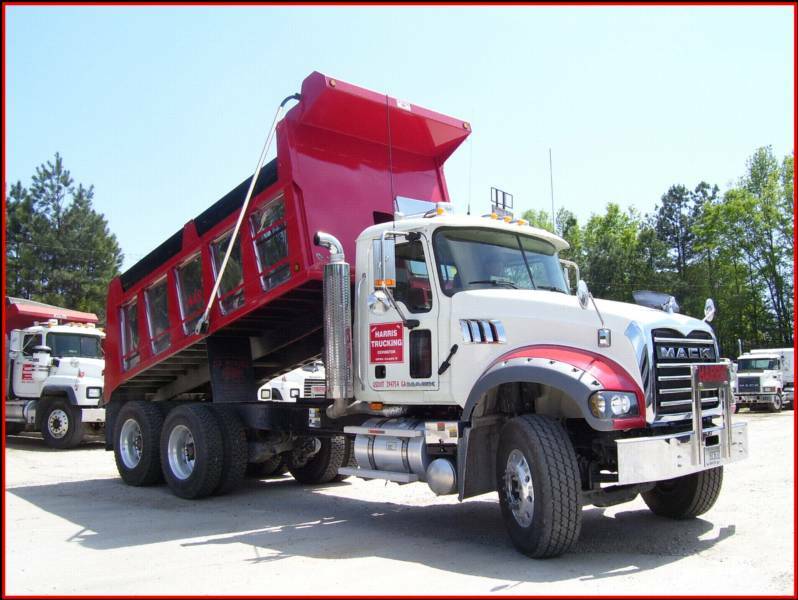 is a GDOT DBE Certified, local, woman-owned trucking company and roll off container service in Athens, Georgia, with thirteen (13) tandem dump trucks, two (2) tractors/dump trailers, and two (2) roll off trucks on our yard plus approximately 40 roll off containers. We take great pride in offering exceptional service. While we usually operate in the Athens-Clarke, Oconee, Madison, Barrow, Oglethorpe, Walton, and Morgan County areas, we occasionally work in Greene, Hall and Putman County as well. We are active members and strong supporters of the Athens Area Home Builders Association, the Athens Chamber of Commerce, and the Georgia Construction Aggregate Association. We offer tandem hourly rates for general hourly work and for rough materials (reservations required). We also use a flexible quoting system for tandem hauls by the ton. We do not usually haul tandem loads by the yard or load, but each job is quoted individually. Our roll off container prices are very competitive with other companies in our area. Unlike some of our competitors who charge a fee for dropping a container plus additional fees for renting the box and having it emptied, we charge a flat fee per container. Special rates are quoted for tree trash and multiple pulls. 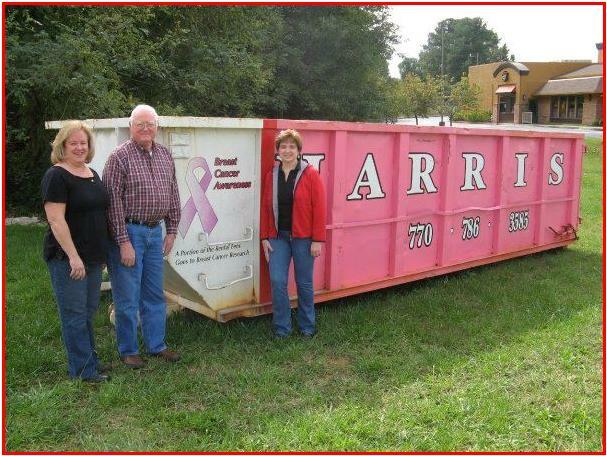 Ask about out special PINK containers that support Breast Cancer Research. We have recently partnered with Peachstate Portables and can now provide you with portable toilets for your jobsite as well. If you have any jobs that you would like for us to look at or if you would like additional information, please give us a call at (706) 543-0061.